The weather has finally turned against us with temperatures in single figures. Suddenly staying in begins to seem like a good idea. But not staying home – what you need is somewhere in central London that’s warm where you can wander round looking at the flowers just as though it was still summer. 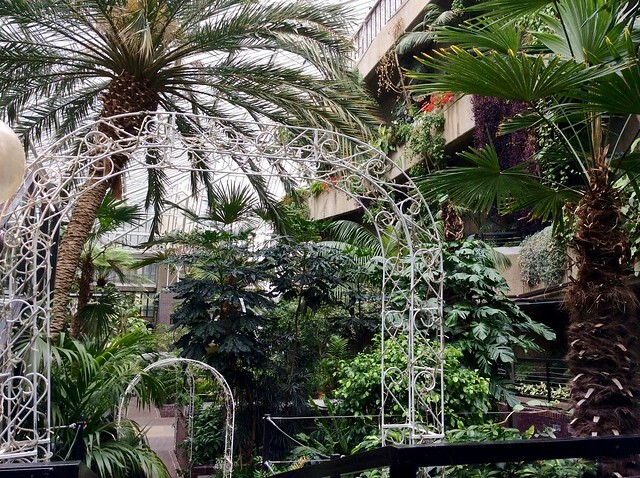 You need the Barbican conservatory. 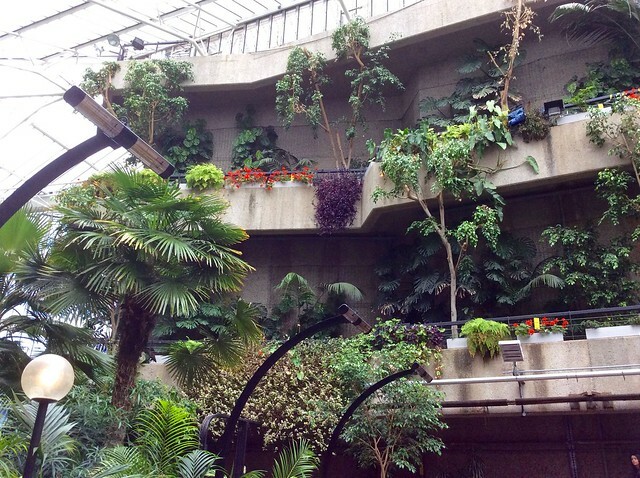 No, I didn’t know the Barbican had a conservatory either. 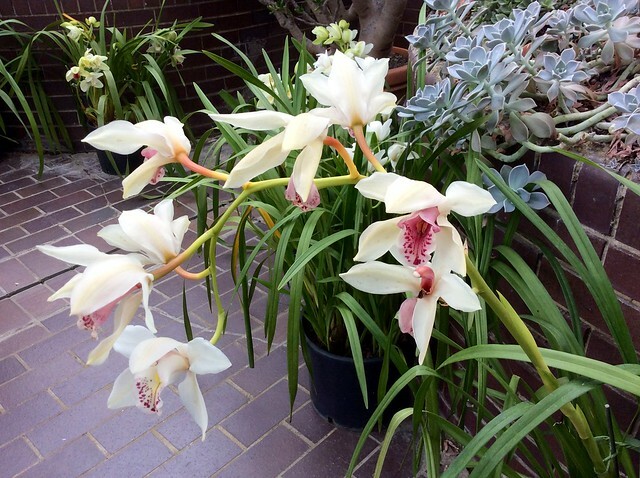 Theatre, yes, concert hall, yes, art gallery, yes but conservatory? No. That’s because it’s hidden away somewhere you’d never find it if you weren’t looking. Plus it’s not open every day, just Sundays and Bank Holidays. 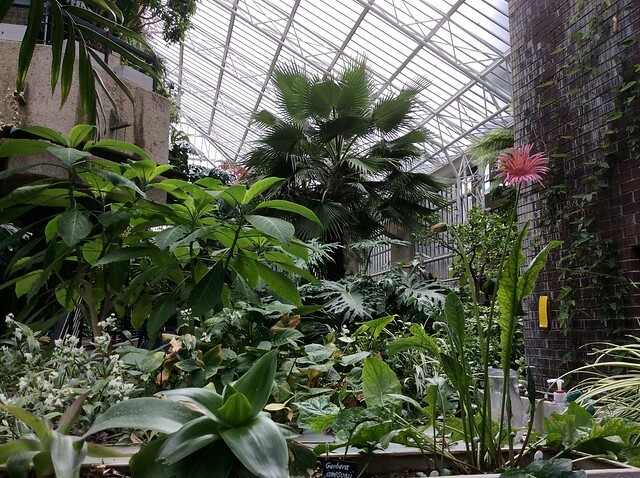 It’s much more extensive than I expected – in fact it’s the second biggest conservatory in London. 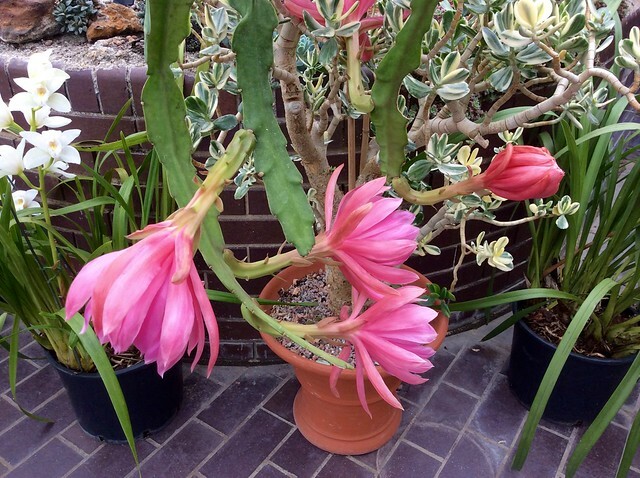 (Kew Gardens has the biggest, obviously). 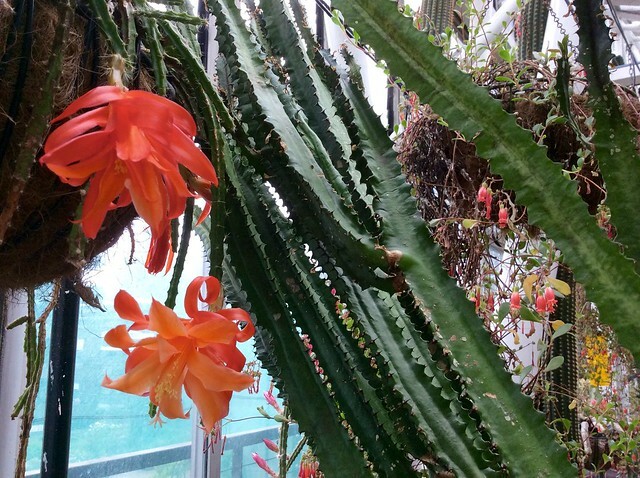 It’s home to over two thousand species of tropical plants and trees, including wonderful orchids and flowering cacti. It’s located on level three, but, as anyone who knows the Barbican will realise, knowing that doesn’t mean you know how to find it. Take the lift and then wander around a bit is my advice. It’s laid out with winding paths and raised walkways, plus a terrace from which you can look down onto the tops of the palm trees. 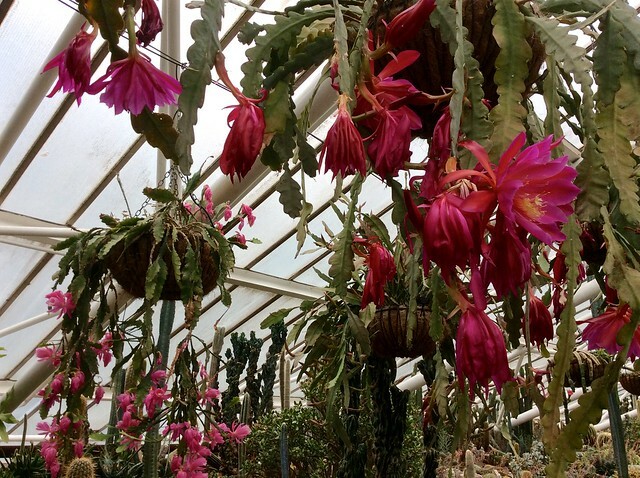 There’s a separate dry Arid House for cacti. It’s actually built around the fly tower of the theatre, but you’d never guess because it’s been artfully draped with greenery. There’s quite a large pool with carp in it and a little pond with an artistic bridge which seemed to be the favoured spot for selfies. 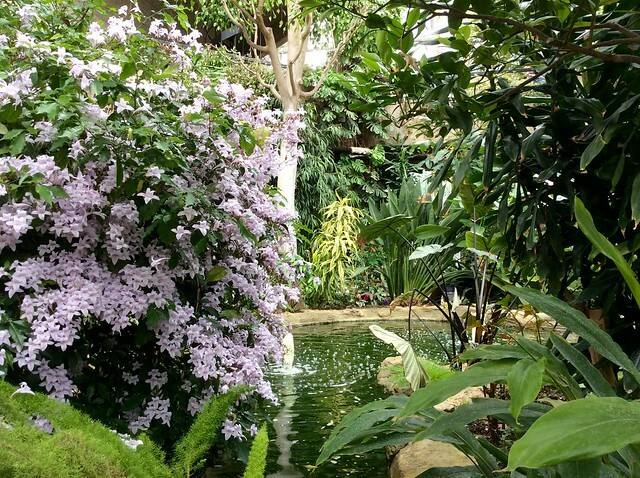 The Barbican Conservatory is open most Sundays and Bank Holidays from 12 noon to 5 pm. Check first, as sometimes they hire it out for private events. It’s free to visit. 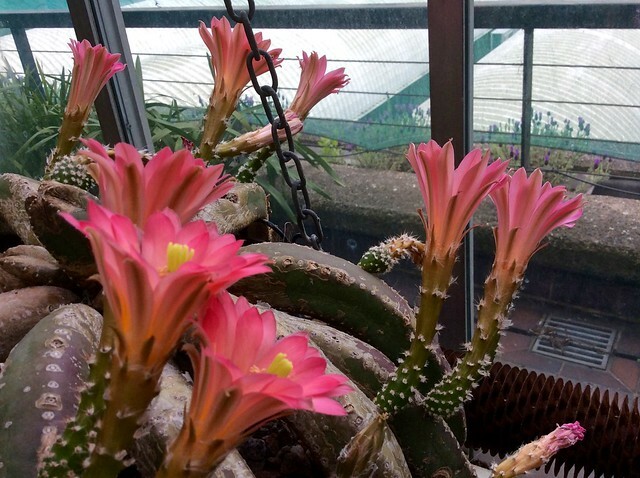 This entry was posted in Flowers and plants and tagged Barbican, Barbican Conservatory, cacti, flowers, gardens, London, nature, orchids, plants by Fran. Bookmark the permalink. Excellent winter destination there – it’s a tropical holiday without packing any suitcases! Yes, and surprisingly uncrowded too! Rather well hidden, but I’m sure you’ll find it! I only found out how big the Barbican is when I did a tour of City of London Girls school last month. 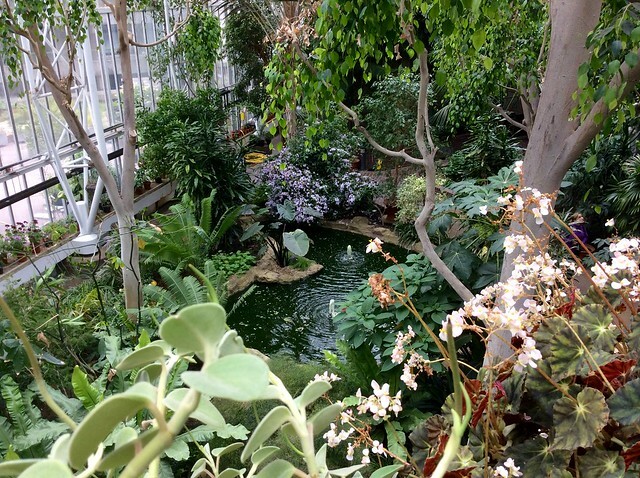 I didn’t realise there was a conservatory in there too! 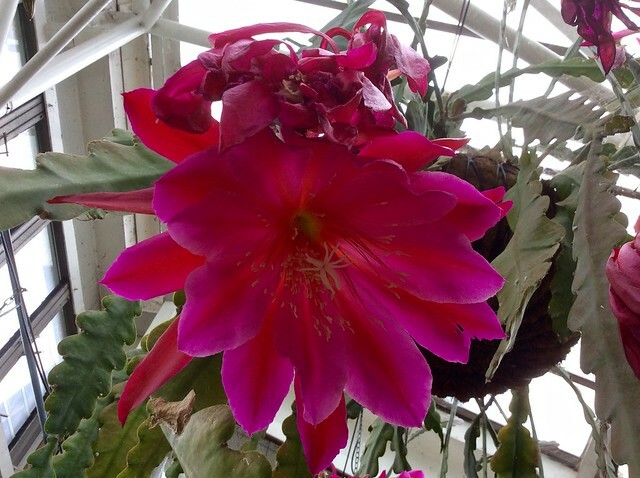 There’s all sorts of things tucked away in there, but the conservatory is the best discovery I’ve made. It’s all changed a bit since we lived there in the 1970s. The centre (concert hall, theatre etc) was just a giant worksite outside our window and our weekend sport was watching the cranes moving in the wind and never hitting each other. I remember visiting the day it opened – it was so exciting!